The Free Trade Agreement (FTA) between Vietnam and the Eurasian Economic Union keeps advancing after being ratified by President Vladimir Putin, which means that Russia fulfilled the procedure for its entry into force, it was learned today here. Putin signed the document yesterday and so his country became the second of the aforementioned block to take that step, after Kazakhstan, which did it in February this year, according to the media. 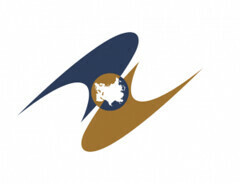 The other participants in this FTA, signed in May 2015, are Belarus, Armenia and Kyrgysstan. The pact stipulates the reduction and/ or elimination of tariffs on 87 percent of products originating from each party. Official data indicate that trade between Vietnam and these economies is four billion dollars and with the treaty it is expected to reach 10 billion by 2020.